Nothing is worse for your instruments than excess moisture, but how do you properly store and protect your musical instruments? Nothing quite compares to the craftsmanship and precision of a musical instrument. Whether it be a guitar or a concert grand piano, it was designed with extremely strict tolerances in order to provide the best quality sound in a beautiful form. This unfortunately also means that without proper care and maintenance, or in the event of a catastrophe such as water damage, these cherished items are much more susceptible to damage. 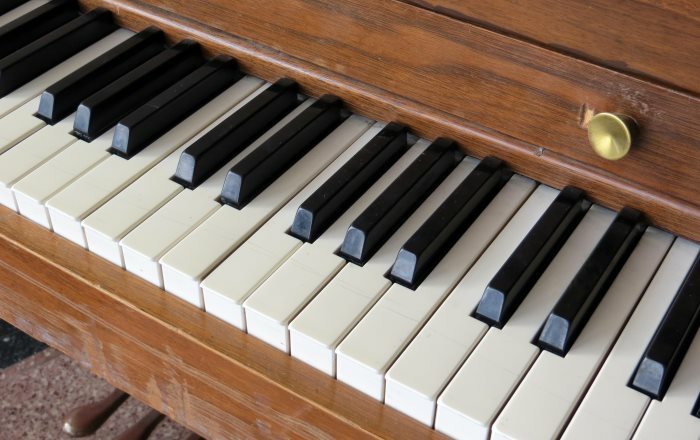 While there are many ways harm can befall your musical instrument, the most common and most damaging is the result of Water Damage. If not kept in a dry location, over time moisture will penetrate the wood components, causing them to swell, warp, and even split! Moisture allowed to remain on metal components may result in rusting and a reduction in strength. This all adds up to some serious trouble for any musical instrument! • Instruments should be stored in their original case, elevated off of the floor. • Wooden instruments generally require regular cleaning and conditioning with specially formulated wax to maintain their appearance and condition. • Brass instruments generally require cleaning and conditioning with a polish in order to maintain their appearance and prevent dulling. • Seek out a dry part of your home to prevent humidity damage. As an added layer of protection, the instrument can also be stored in a polyurethane bag inside of its case. • If storing for an extended period of time, it is generally recommended to release the tension on stringed instruments to keep it from warping the neck. What Should You Do If It Gets Wet? Often, no matter how many precautions or care you've taken in protecting your instrument, the unexpected still happens. A pipe broke, or maybe your hot water heater burst, quickly making what used to be a dry storage area very, very wet. In a situation such as this, time is of the essence in order to prevent permanent damage from occurring to your instrument. • Immediately get the musical instrument out of the wet area and into a dry / unaffected part of the house. • Thoroughly wipe down the entire instrument and dry it as best you can. • Keep your instrument exposed to the air and place a fan on it to begin the drying process. • Immediately alert your Local Mitigation Company of this instrument while they are performing the drying services in the affected area of your home. Although you may have begun the drying process, they have specialized training and equipment that is able to ensure proper drying of your instrument. • *Please note: certain musical instruments may require expert attention from instrument restoration professionals. *This story originally appeared in the June 2016 issue of Connections Magazine, as part of a monthly contribution made by Disaster Blaster, Inc. Please check out the current issue of Connections Magazine for this month's story!